Across the street from our Bryn Mawr Skin & Cancer Institute location is Antonella’s Italian Kitchen. 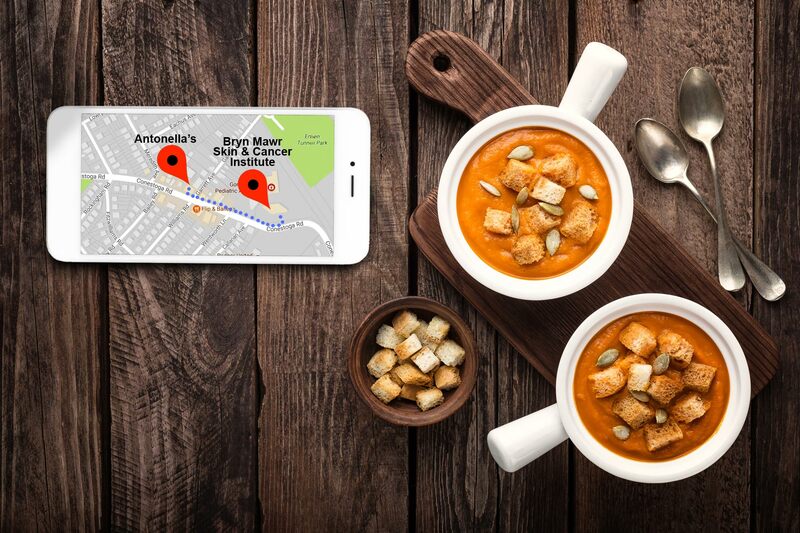 Recently they featured a butternut squash apple soup that everyone in our office adored! So Elizabeth S., our social media manager, looked and found this recipe online, made some and brought it to work for all of us to taste. Whamo-blamo! It’s a good home-made-mimic of Antonella’s. Super yummy with a little spice kick.